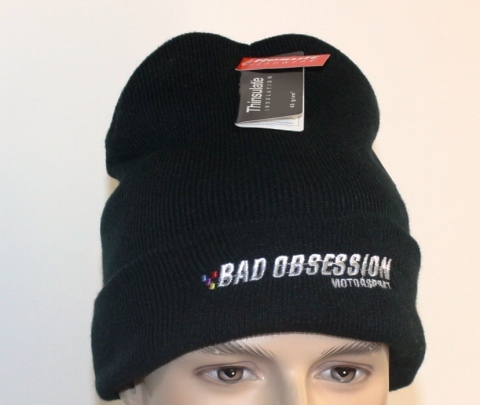 This is the official Bad Obsession Motorsport Rally Hat. It’s black and made from something called Thinsulate. Thinsulate is thin and it sulates you. It’s as if they just make these words up willy nilly. Like Boswelox. Do you remember Boswelox? When I first heard the word Boswelox I though to myself ‘Bo****ks’. Turned out I was right; it was completely fictional and the advert was banned.